Russian-speaking Ukrainians are not necessarily pro-Kremlin. To anyone who has lived in Ukraine and experienced the country’s laid-back bilingualism firsthand, this statement might seem redundant. However, for many of the international correspondents currently reporting on the Ukraine crisis, it may come as something of a surprise. After all, Moscow’s annexation of Crimea and subsequent intervention in east Ukraine have been depicted by Moscow as a crusade to save Ukraine’s allegedly oppressed Russian-speaking minority from impending genocide. The Kremlin narrative of oppressed Russian-speakers has always appeared absurd to ordinary Ukrainians, but this has not prevented it from becoming a convenient way for foreign reporters to bypass the complexities of Ukrainian identity politics. Time after time over the past eighteen months, correspondents struggling to explain the Ukraine crisis to their international audience have sought relief in the easy-to-understand-yet-hopelessly-inadequate formula of Ukrainian-speaking West Ukraine vs Russian-speaking East Ukraine. "Ukraine’s multicultural past has helped foster a climate of tolerance that provides Russian-speakers with the kind of freedoms their Russian neighbours can only dream of"
In this crudely simplified version of Ukrainian reality, all of the country’s Ukrainian-speakers are uniformly pro-European in sentiment, while the Russian speakers are necessarily pro-Kremlin. The boundaries on the accompanying maps are always stark and distinct, with Russian and Ukrainian speakers treated as clearly defined and completely separate ethnic groups engaged in a zero-sum game for control of the Ukrainian state. Real-life Ukraine is not nearly so straightforward. The first and most glaring problem with these attempts to divide Ukraine neatly into rival camps of Russian and Ukrainian speakers is the notion that speaking Russian somehow implies political allegiance to Moscow. Not only is this not true – it actually flies in the face of contemporary Ukrainian reality and does a great disservice to the millions of patriotic Ukrainians who just so happen to be Russian-speakers. Many of the Ukrainian volunteer battalions currently defending the country in east Ukraine are composed of Russian-speaking troops who grew up in the region. Meanwhile, around half of the current Ukrainian government, which is by far the most reform-minded and pro-EU in the country’s history, are native Russian-speakers. The prominence of Russian-speakers in Ukraine’s frontlines and higher political echelons is, by Ukrainian standards, unremarkable, and would have passed largely unnoticed by Ukrainians themselves if the Kremlin hadn’t claimed that a genocide of Russian-speakers was underway. Speaking Russian is simply not regarded as a political statement in Ukraine. It says nothing about the personal beliefs or geopolitical sympathies of the speaker, and cannot be employed as shorthand to indicate an individual’s political affiliation. The issue of Ukrainian bilingualism also undermines Russian claims of oppressive Ukrainian language policies. The boundaries between Russian-speakers and Ukrainian-speakers in today’s Ukraine are far from distinct – in reality these boundaries are blurred, and in many cases, overlapping. While most Ukrainians identify one or other of the two languages as their mother tongue, in practice it is rare to find someone who genuinely struggles to make themselves understood in either. Far from living in mutual antagonism, the vast majority of Ukrainians enjoy some degree of fluency in both the Ukrainian and Russian languages, and are capable of using them interchangeably in their everyday lives. "Far from facing extinction, the Russian language appears to be thriving in the new Ukraine, where it remains the de facto street language in most Ukrainian cities"
It is common to see Ukrainian and Russian spoken alternately in the same conversation, with no offense taken by either side. Perhaps even more commonplace is the practice of speaking in the ‘surzhik’ dialect, which combines elements of Russian and Ukrainian, thereby upsetting purists and snobs in both linguistic camps, while accurately reflecting the hybrid and dynamic nature of language politics in modern Ukraine. Even if we choose to ignore the extremely high incidence of bilingualism in Ukraine and, for the sake of argument, accept that the population is divisible into mutually exclusive Ukrainian-speaking and Russian-speaking groups, the resulting picture would nevertheless remain largely unsatisfactory. Broadly speaking, Russian is indeed the lingua franca in the cities of southern and eastern Ukraine, but in the surrounding countryside, you are far more likely to encounter people speaking Ukrainian. Then there is Kyiv. Typically depicted as being located firmly within the ‘Ukrainian-speaking’ western half of the country, the Ukrainian capital is actually the biggest Russian-speaking city in the entire world outside of Russia itself. Confusingly, it is also a bastion of pro-European political sentiment and fount of Russian-speaking Ukrainian patriotism. Nor is there much evidence of anti-Russian language discrimination in post-Maidan Ukraine. The entire ‘oppressed Russian-speaker’ narrative is usually justified by reference to a single parliamentary vote held in early 2014 in the immediate aftermath of President Yanukovych’s flight from Ukraine. 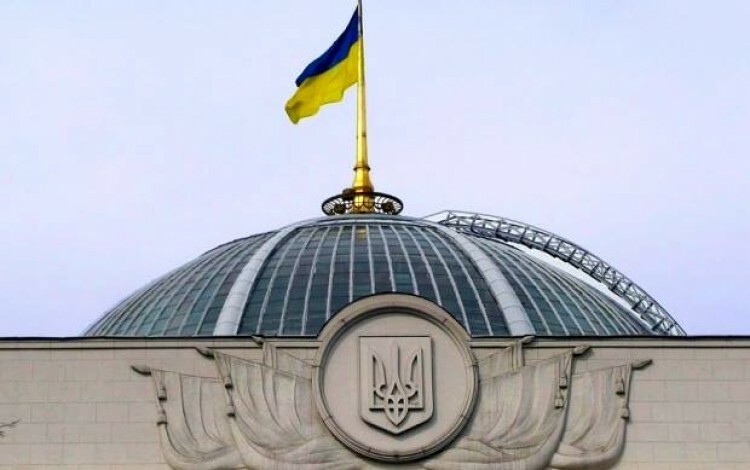 The parliamentary decision to strip Russian of regional state language status - a status granted by the Yanukovych government just a few years earlier - never came into force. Nor was it a particularly radical step – it would merely have returned Ukraine to the linguistic status quo which had existed in the country for the first two decades of post-Soviet independence. It was certainly not, as the Kremlin would have us believe, a step along the road towards genocidal fascist dictatorship. Beyond this single vote, there is literally no evidence whatsoever of Russian-speakers in Ukraine suffering from any form of discrimination. Probes by international agencies like the UN and human rights groups such as Amnesty International have repeatedly rejected Moscow claims of an oppressed Russian-speaking minority. Far from facing extinction, the Russian language appears to be thriving in the new Ukraine, where it remains the de facto street language in most Ukrainian cities and continues to dominate TV, radio, online media, and the printed press. All the best slang terms and swear words are still in Russian. 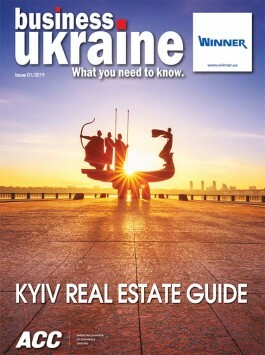 A visit to a press kiosk in Kyiv will confirm that somewhere between 80% and 90% of all available print publications are in the Russian-language. Despite efforts to cut back on Russian TV content, Moscow-produced soap operas and other Russian programming continue to dot the country’s daily TV schedules. Ukrainian pop stars release albums featuring songs in both languages, while Ukrainian football commentating teams often feature one Ukrainian-speaker and one Russian-speaker. Almost every evening, the country’s endless political talk shows feature a dizzying megamix of linguistic switches as the talking heads move from Russian to Ukrainian and back again, usually while shouting at each other. It is a confusing situation and one that the uninitiated often find hard to grasp, but it works in Ukraine. This linguistic pluralism is a product of Ukraine’s rich multicultural heritage, which stretches back for centuries. A melting pot land for as long as anyone can remember, Ukraine’s multicultural past has helped foster a climate of tolerance that provides Russian-speakers with the kind of freedoms their Russian neighbours can only dream of. Unsurprisingly, the relative freedoms enjoyed by Russian-language Ukrainians have not gone entirely unnoticed inside the Russian Federation itself. Some Russian writers and journalists have already taken advantage of these freedoms to publish their work in Ukraine, while a number of prominent Russian TV journalists have established themselves in Kyiv in a bid to ply their trade without having to cope with the Kremlin censors. There is every reason to expect this trend to intensify in the coming years as the current trickle of Russian intelligentsia émigrés becomes a flood. Post-Maidan Ukraine is already the freest Russian-speaking nation in the world. It now stands poised to become a global focus for freethinking Russian-language dialogue. In previous centuries, Ukraine provided Russia with some of its most important religious figures and literary greats. It is quite possible that the next generation of Russian thinkers will also emerge from the relatively unrestrained atmosphere of Ukraine. This Russian-language pedigree should be a source of national pride for Ukrainians and a cause for considerable concern in the Kremlin. Russian-speaking Ukrainians may not need rescuing by the armed forces of the Russian Federation, but they might yet have a key role to play in the battle for hearts and minds inside Russia itself.